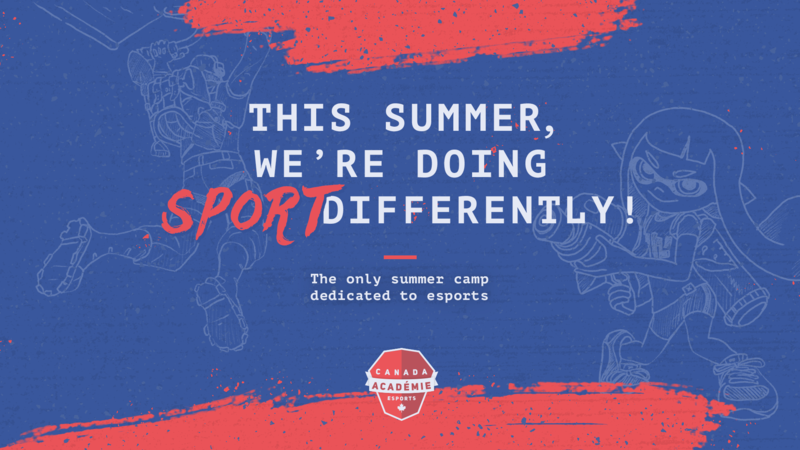 Montreal, April 2 nd, 2019 – It is with great excitement that the Esports Academies and their spokesperson, Mr. Georges Saint-Pierre, announce the return of their innovative day camps dedicated to esports. As of July 2019, teenagers between the ages of 10 and 17 will be able to enjoy esports day camps that will take place throughout Quebec. Like true e-athletes, participants will receive daily coaching from a qualified team and will be advised by experienced coaches. Moreover, many types of camps meeting the aspirations of all esports enthusiasts will be offered, no matter where they are in their progression. “Following the success of the day camps launched for the first time last year, we will be offering them in at least six different locations this summer. All of our camps take a balanced approach, where time is divided between theory, practice and physical activity as we strongly believe that guidance and education are the best ways to prevent cyber addiction and cyberbullying&quot; says Patrick Pigeon, President and CEO of the Esports Academy of Canada. #1 : IMPROVEMENT camps will be held at Montreal ESPORTS facilities on 3715, Saint-Laurent blvd. and at Montreal Gaming Center on 6830, Du Parc Ave in Montreal. Improvement weeks will also be offered in Quebec City. # 2: ESPORTS day camps will be held at UQAT facilities on 625, President-Kennedy Ave, Suite 700, Montreal, QC H3A 1K2. # 3: ESPORTS COLONY SUMMER CAMPS will be held at Collège du Mont-Sainte-Anne on 2100, Chemin Sainte-Catherine, Sherbrooke, QC J1N 3V5..
# 4: ESPORTS-CIRQUE camps will take place on the premises of the École de cirque de Québec at 750, 2e Ave, Québec, QC G1L 3B7. E-athletes, just like traditional sports athletes, must be in a state of optimal physical and mental well-being in order to perform at their best. This involves learning and applying principles of healthy lifestyle habits, an assortment of behaviors and ideologies in relation to physical activity, nutrition, hydration, sleep, stress and emotion management, etc. The main objective of the Esports Academy of Canada is to provide the knowledge and tools necessary for young e-athletes to understand the benefits of these life principles, both for themselves and for the practice of their passion. Specifically, the Academy offers conferences and training workshops on cyber addiction and cyberbullying prevention, as well as the adoption of healthy lifestyle habits in the context of esports. It also offers personalized individual follow-up services to support e-athletes on a daily basis in an esports environment. It is these principles that form the basis of the programs offered by the Academy and its partners during day camps, workshops and training sessions. The first standalone Academy devoted to esports in America! The Montreal Esports Academy (MEA) was launched on April 23, 2018 to provide coaching for the practice of esports in the greater Montreal area. The first edition of its day camps was successful with more than 120 registrations and more than 4,500 hours of physical activities. The MEA then expanded its offer to a competitive esports concentration program, in partnership with Édouard-Montpetit High School. Since January 2019, MEA has come under the umbrella of the Esports Academy of Canada (AEC) in order to meet the growing demand for esports services and to cover a larger territory. The creation of the Académie Esports de Quebec (AEQ) in January 2019 demonstrates the desire of the Academy to democratize the practice of esports and provide the necessary support for young e-athletes across the country.